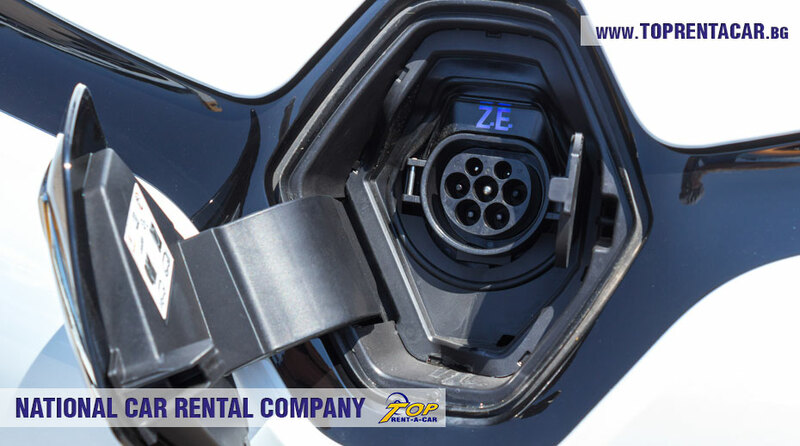 Instructions for charging electric vehicles Renault Twizy, Renault Zoe, Tesla S 75D. 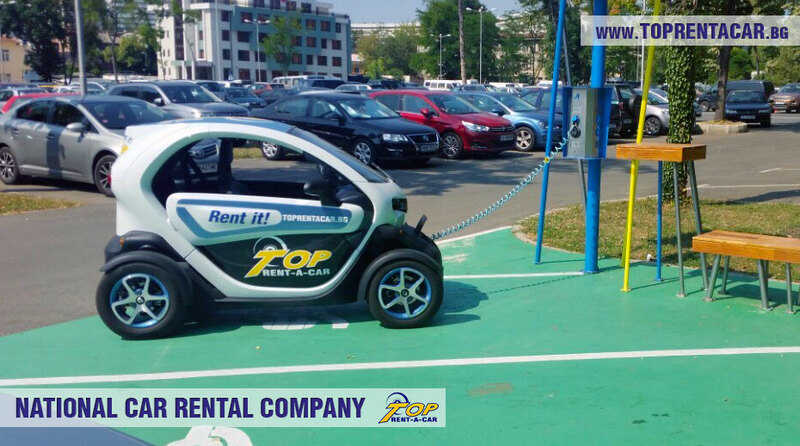 *Please, bear in mind that Top Rent A Car is not responsible for the current update of the card, condition and working of the charging stations. 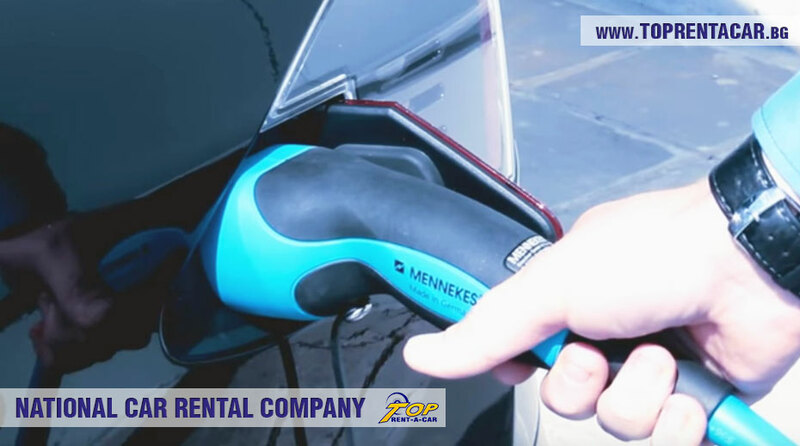 The customer is fully responsible for charging the rented vehicle. We recommend to drive the vehicles in the region of Sofia, considering that the stations chain is well developed in that area. 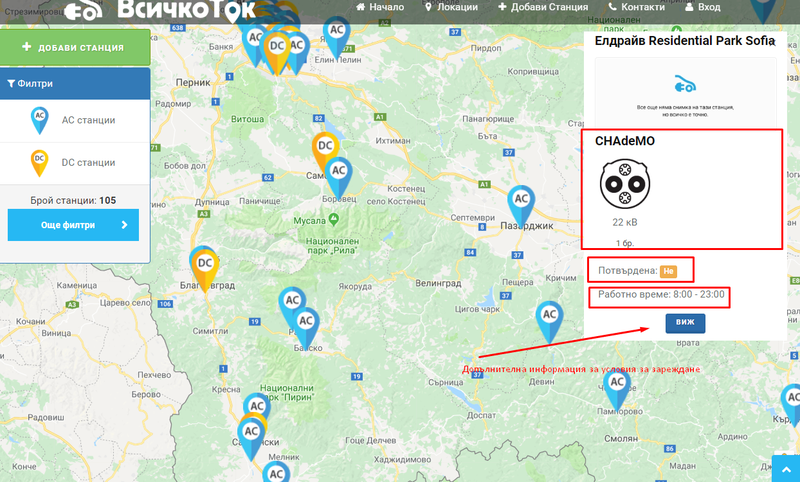 We recommend our customers to use information from the original websites of charging stations of electromobiles Vsichkotok.bg. 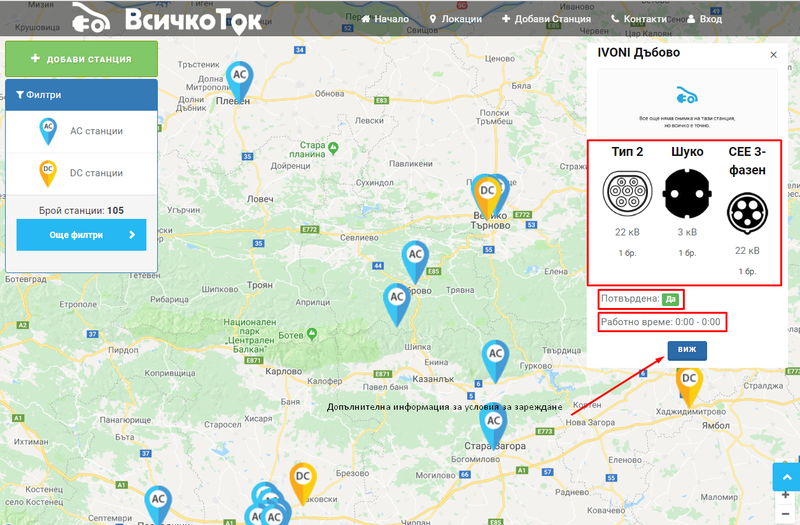 When choosing a charging station, please, check the type of socket, which is shown on the chosen station, the power of the station (the time required for charging the vehicle depends on the power), and if the chosen station is confirmed by an employee of Vsichko Tok. (look at the screenshot) . Please note that some of the charging stations have working time, some are free to use, and some are paid. Pay attention that one type of plug may have different power on different stations. For example, socket type 2 may have power 22 kB/11 kB/ 2 kB. The time for charging the vehicle depends on the power. Charging from stations of the company ElDrive is paid. Full information for ways and conditions for payment you can find on their official website eldrive.eu. Prices for charging on this type of stations you can find here: eldrive.eu/prices Pay attention, that payment at stations requires access to the internet and to mobile application ElDrive that could be downloaded from App Store or Google Play Market. Please, bear in mind that we are not responsible for troubles that may occur while charging vehicles, we only offer them to be rented. 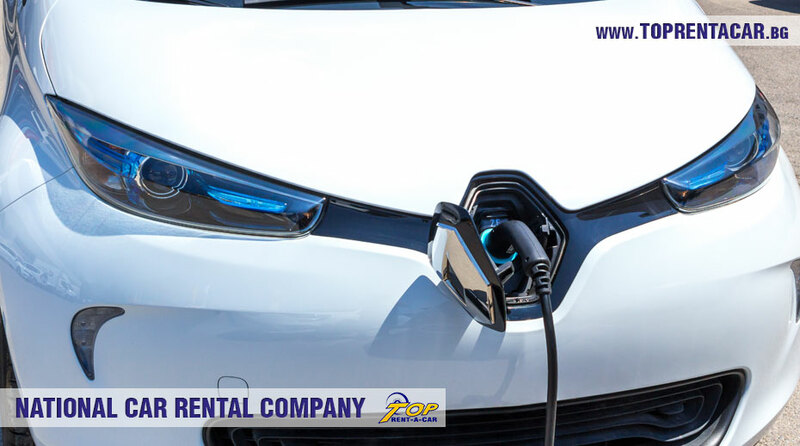 In case that the charge of the battery is used up before the customer has the chance to charge it, he, by himself, pays the taxes, involving the transfer of the vehicle to the nearest charging station.